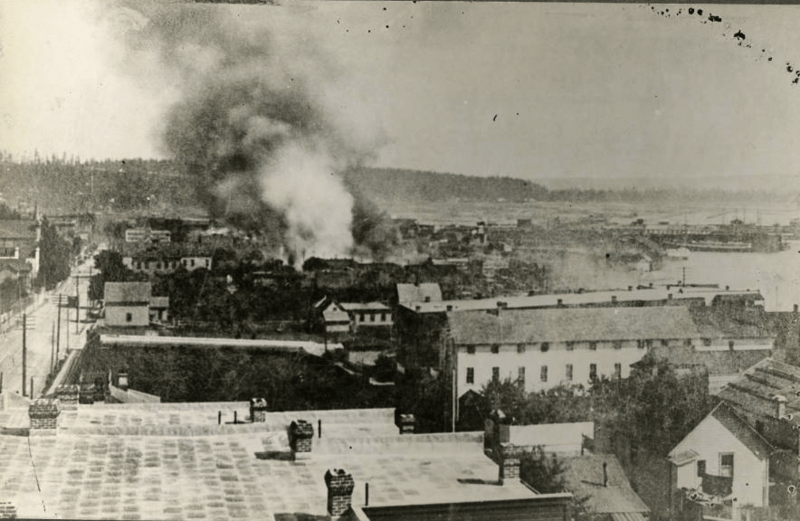 As the Pacific Northwest grapples with smoke from over twenty wildfires burning in Canada, we look back on another fire that took the city by the storm: The Great Seattle Fire of 1889. Here are 11 photos that remind us of Mother Nature’s infinite fury. 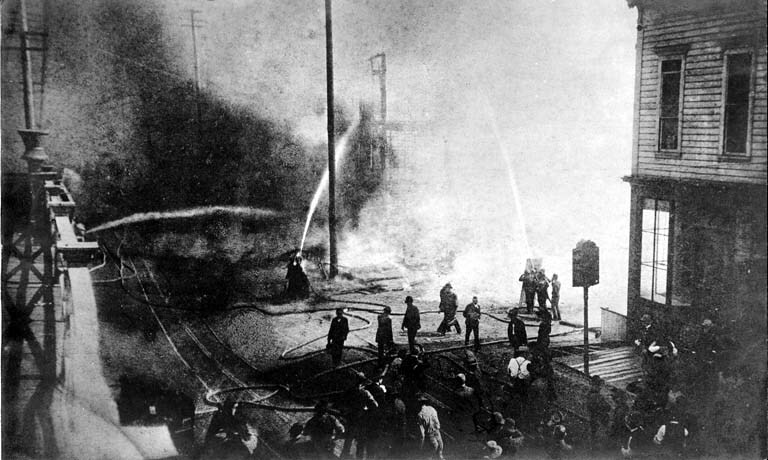 On June 6th, 1889, a man named John E. Back was heating up a pot of glue over a gasoline fire in a woodworking shop. When the glue caught fire, Back threw water over it, spreading the flames further. 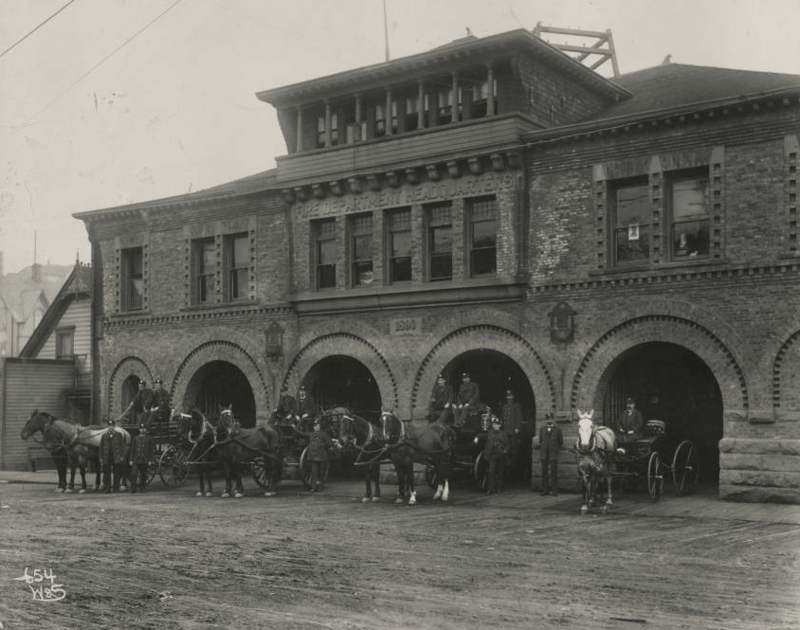 The fire spread quickly to the Dietz & Mayer Liquor Store, which exploded, as well as the Crystal Palace Saloon, and the Opera House Saloon. Ignited further by alcohol, the entire block from Madison to Marion was on fire. 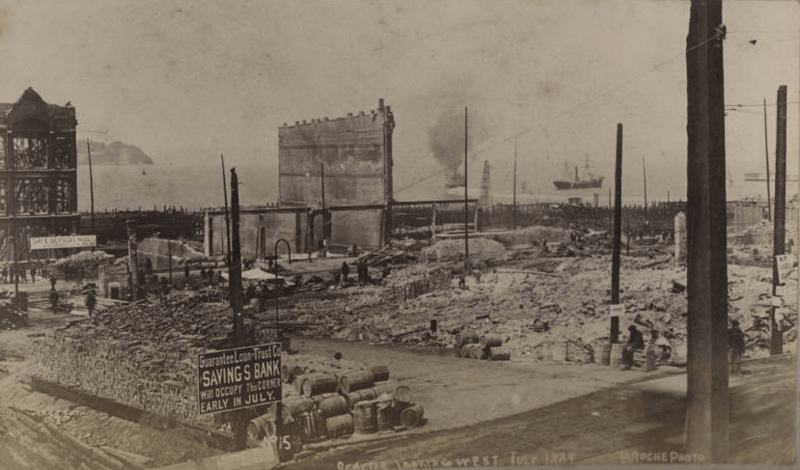 By the late afternoon, most residents realized that downtown Seattle would never be the same. 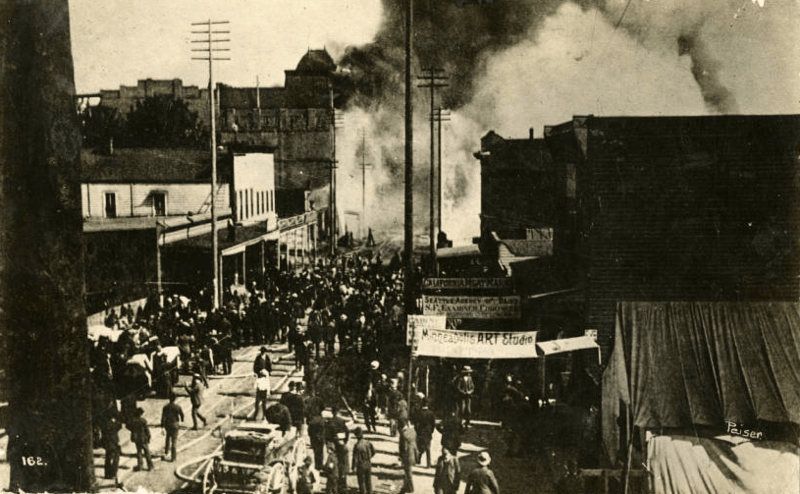 The fire had crossed Second Avenue, and was heading up to Third. Residents all the way in Tacoma could see the smoke and the roar of the fire was heard for miles. 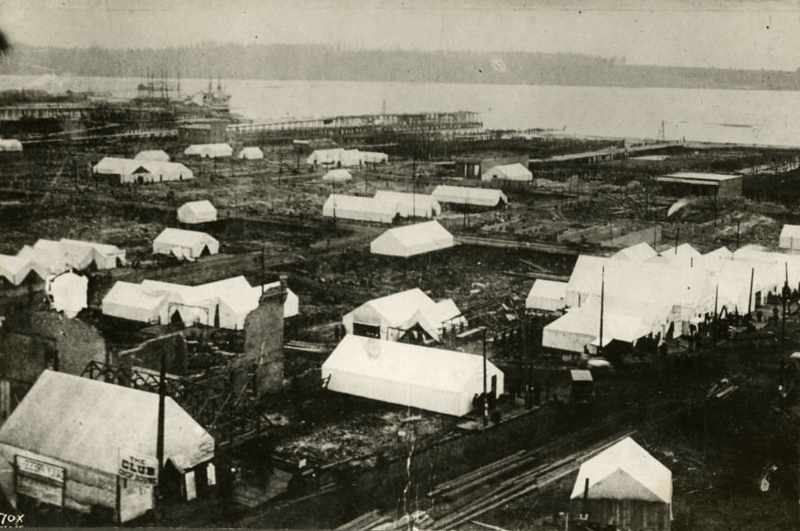 Ironically, Seattle’s water supply was a major hindrance to fighting the fire. At that time, water was provided by the privately-owned Spring Hill Water Company. Hydrants were only located on every other street, the ‘pipes’ were small, and many were made of flammable hollowed out logs. The fire burned until 120 acres (25 city blocks) had been destroyed. 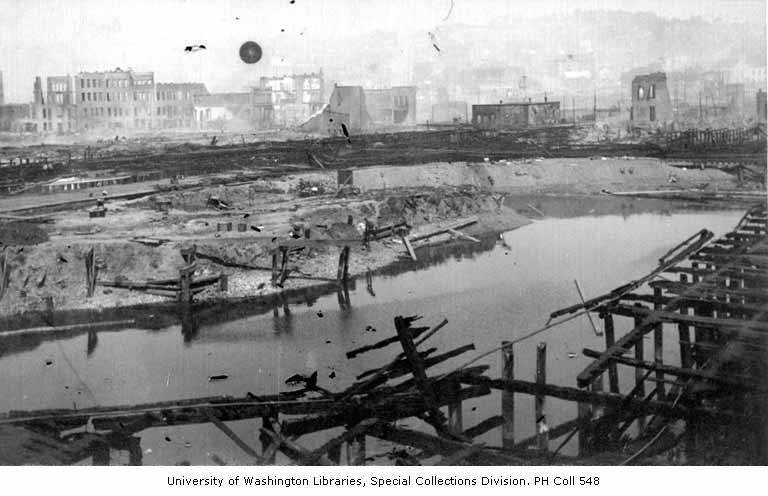 According to an account by the University of Washington, loss of human life was evidently low (no statistics were kept on that), but an estimated 1 million rats were killed. Thousands of people were displaced, and 5,000 men lost their jobs. The day after the fire, six-hundred businessmen met to discuss how to deal with the damage and plan for the future. Special deputies were sworn in and Seattle was placed under martial law for two weeks. Tacoma raised $20,000 and sent over a relief committee to offer assistance. Most businesses decided to rebuild on the same site they had been before the fires. 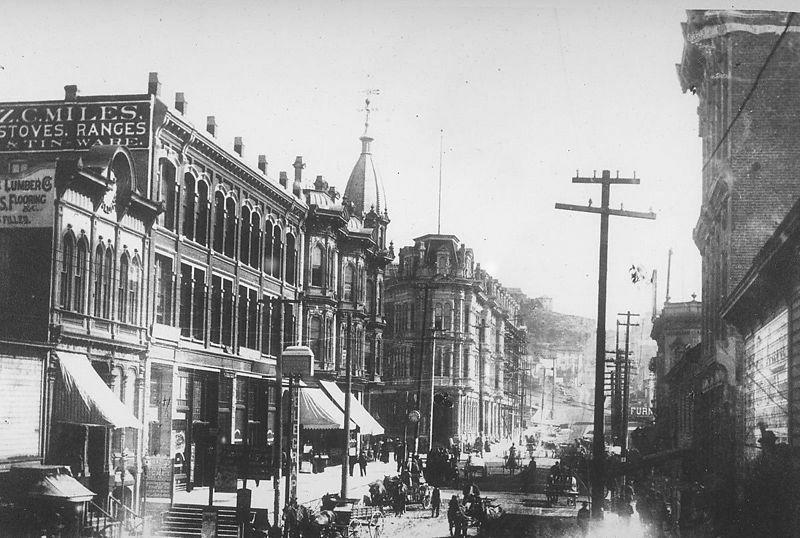 The city made a smart move and banned wooden buildings in the burned out blocks, to be replaced by brick, reports UW. After the water crisis discovered during the fire, voters approved funding for a city-owned water system, which would ultimately tap the Cedar River. 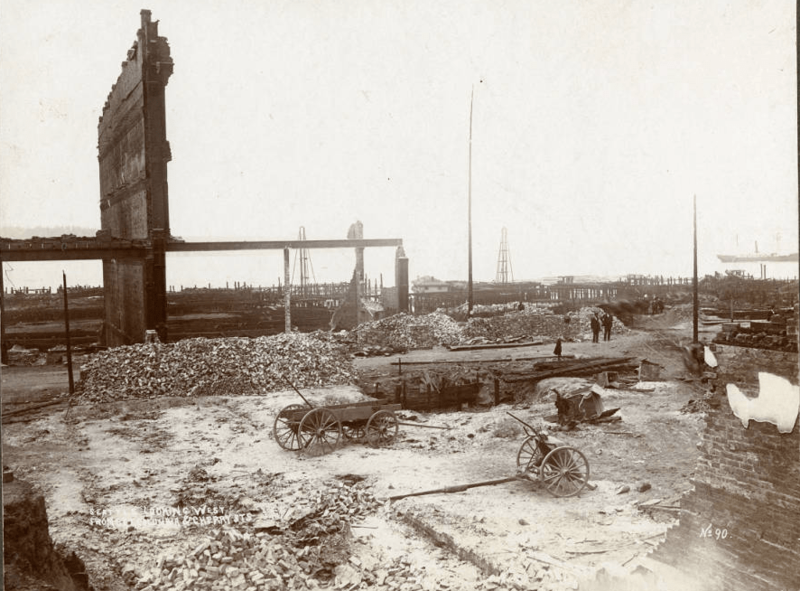 Despite the wreckage, in less than a year 465 buildings had been built, most of the reconstruction was complete and the businesses had reopened. But citizens would always remember the city that once was before the fire. 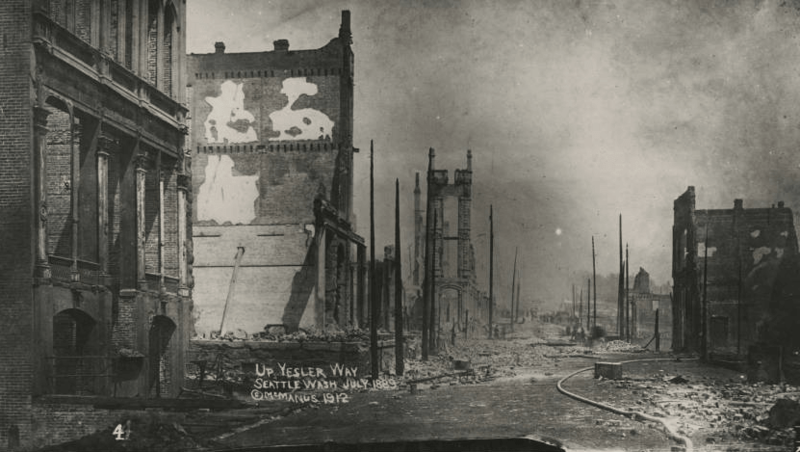 After the fire, Seattle passed an ordinance with new requirements and recommendations for constructing more fire safe buildings. 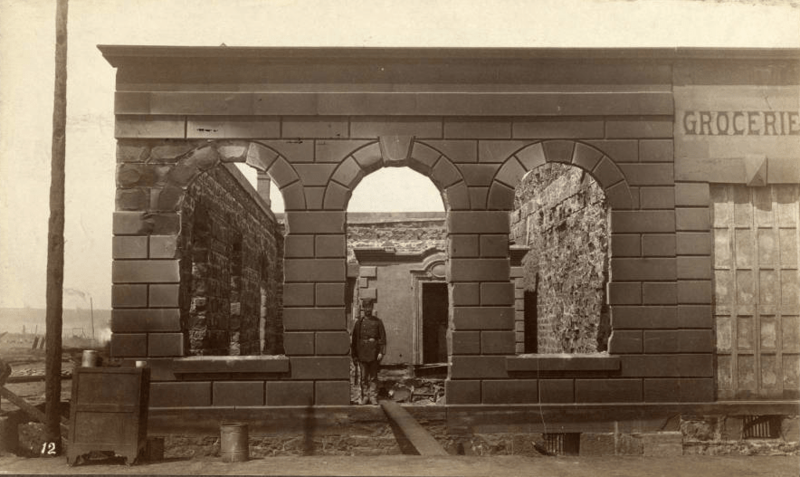 Post-fire design of masonry architecture in the city was guided by the constraints of the ordinance and the aesthetic of the city was changed forever.